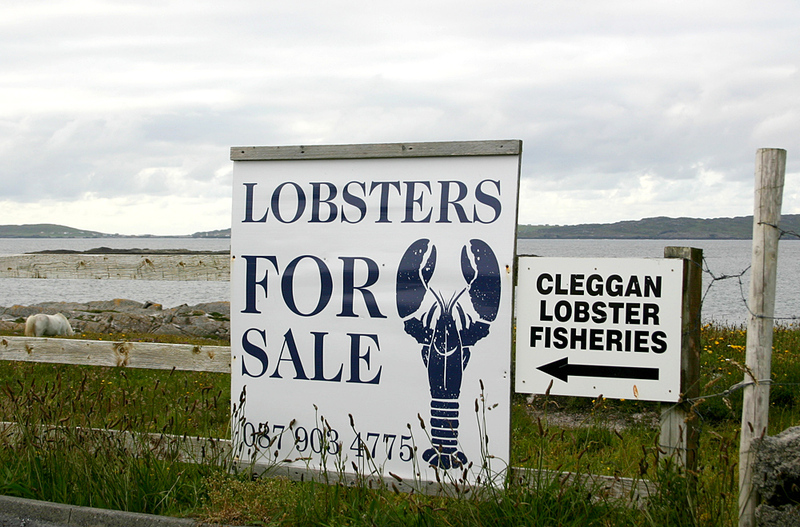 Connemara: Home of real seafood. 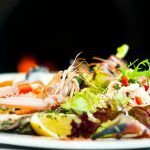 There has always been an appreciation of locally produced seafoods in Connemara, locally caught fish has always been a staple diet and seaweeds such as dulce and carrageen supplemented a farmers basic fare. Connemara people have always taken great pride in their own knowledge and great debate is had as to which is the tastiest fish or the best place to pick up scallops on a big spring tide. Connemara foods are many and varied. 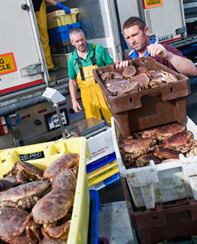 Although Connemara has always produced food and sent it elsewhere, the recent increase in demand for naturally and sustainably sourced seafood has created opportunities for producers to thrive. Here are is some information on a few local food producers. 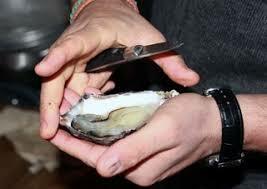 John Ward has lived alongside the Streamstown inlet all his life, and started Dooncastle Oysters in 2006. Oyster spat or “seed oysters” are brought in from a hatchery and laid out on trestles in mesh bags to feed on the nutrients and plankton of the pristine Atlantic waters. All that is the required is ceaseless attention to the baby oysters, grading, cleaning, and keeping the starfish and green crabs from eating them. All this is done at low tide so early mornings are part of the job. John moves the oysters mid-growth to finish their growth in Galway Bay, where there is more room to put trestles and the water is suited to the final growth stages of the oyster. 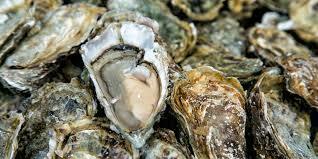 If you are interested in Oysters and want to learn more,there is another local oyster producers farm in Ballinakill Bay, DK Connemara Oysters, runs very informative tours of their farm. 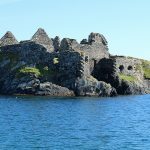 These tours are tide dependant so check their website www.dkconnemaraoysters.com for more information. Cathal King has been involved with the sea all his life, and developed strong links with the fishing community up and down the west coast of Ireland during his 15 year career as skipper of his own trawler. In 2005 he started his business in 2006 and slowly grew the business to what it is today keeping a lively trade going based in Cleggan Village. 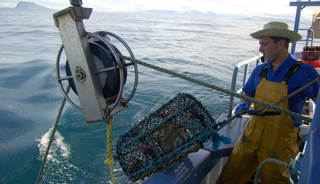 There are a number of boats fishing for Crab and lobster in the area, from traditional Curraghs to modern Crabbers and their catch is brought ashore alive and is put in to aerated seawater tanks to be exported or brought to the lobster pond on the Aughrus peninsula. 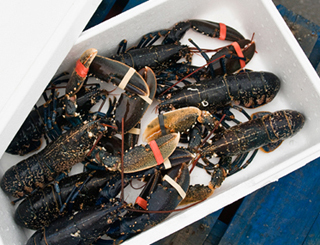 The lobster pond is located on the north side of the peninsula and has been cleverly created using a natural inlet so that shellfish can be stored in the sea until they are needed for sale or export. 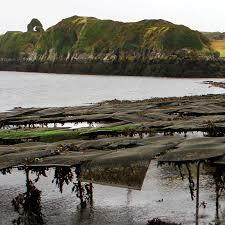 Seaweed has always been harvested on the shores of Connemara. It has so many uses, medicinal, fertiliser and food.The food value of seaweed is its unique ability to absorb minerals from the sea to create a unique and tasty food that comes straight from the Atlantic. This is a sustainably harvested by local employees and brought ashore to be dried and packed. Great care and attention is paid to the environment and to ensure the continued growth of healthy weedbeds. 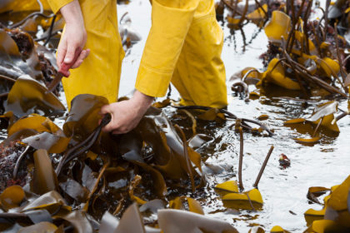 Seaweed is truly a superfood, and contains protein, fibre, vitamins, minerals and trace elements, and Connemara Seaweeds have turned it in to a modern style food to compliment any cooking style, you can use it to flavour foods, create stocks and jellies or just experiment with its new and interesting flavours. Many years ago John Roberts was offered an “Afos” fish smoking kiln, which he bought and installed in his fish factory in Bunowen, after a precarious journey in the back of an orange Ford Estate. This was the start of a food business that would grow and become a world famous producer of smoked fish. The original kiln is still in operation. 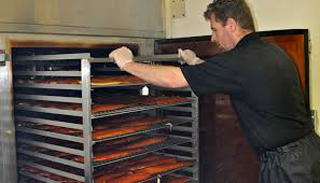 The business is now in the capable hands of Johns son, Graham and his wife Saoirse and has won numerous awards for their varied and interesting selection of smoked fish. Connemara smokehouse uses locally caught mackerel and wild salmon, Irish caught Albacore tuna and local organically farmed salmon and production is personally supervised by Graham and Saoirse to ensure the quality and taste of the fish is always up to their exacting standard, and unlike some smoked fish producers they use no artiﬁcial ﬂavourings, colours, or preservatives—just fresh ﬁsh, accented with complementary seasonings from nature. 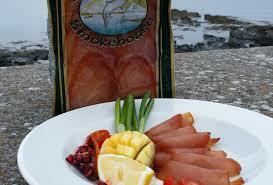 Sea salt and beechwood smoke create the perfect ﬂavour and texture in their traditional smoked products. This is only a small number of the people providing food products with a unique Connemara style, there are many more, and we will try and cover some more in this blog as there are some very interesting stories such as the Killary Mussel farming which would fill a blog post in its own right, so keep an eye out for more interesting posts.